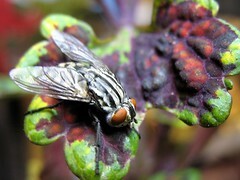 This fly didn’t want to get off my new Coleus, so I shot a picture of it. This entry was posted in Uncategorized and tagged bugs, coleus. Bookmark the permalink.